Sign up! After you RSVP, DFA will send you an email with instructions to participate. You can either listen to streaming audio of the call on our web site or with your phone at 8:30pm ET on Wednesday. RSVP now to join U.S. 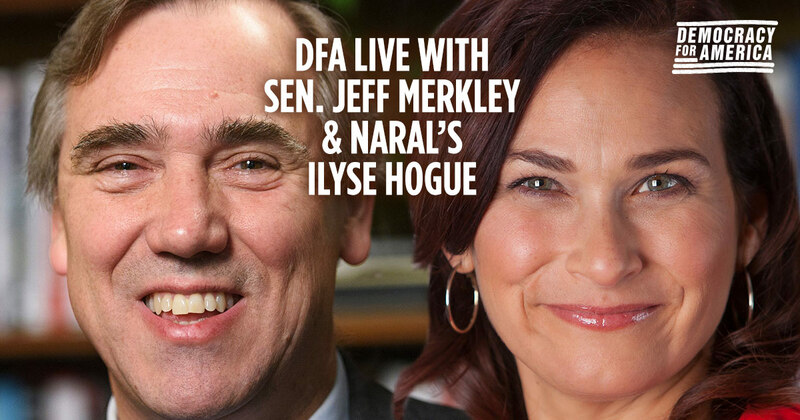 Senator Jeff Merkley and NARAL Pro-Choice America President Ilyse Hogue on Wednesday, March 22 at 8:30pm ET/5:30pm PT for a "DFA Live" conference call, moderated by DFA Executive Director Charles Chamberlain. Together, we'll discuss Donald Trump's Supreme Court pick, Neil Gorsuch and take your questions.